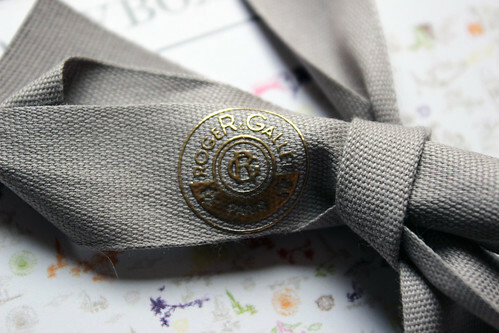 I’ve only been a subscriber to GlossyBox for a few months, so I’m still really excited about the concept – meaning I jumped on the chance to order the limited edition Roger & Gallet flash box when I got the email this month! Inside the box was a range of goodies, including a bottle of fragrance, dry oil, shower gel, body lotion, and soap. Even though I have no problem with sachets, it was actually nice to get a box through that just contained proper, bottled products. 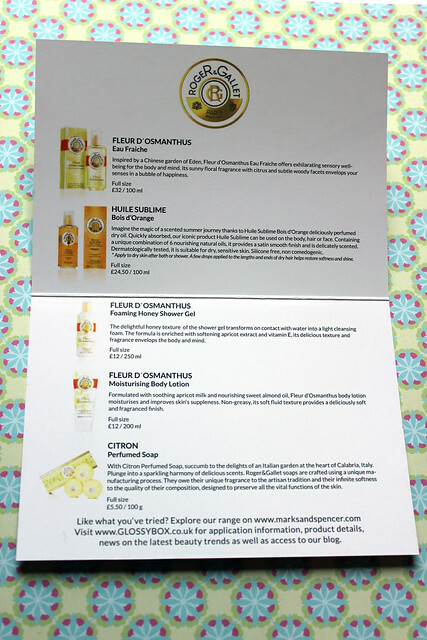 Since receiving the box, I’ve tried everything except the soap and the oil, and I love the heady fragrance and quality of these products so much that I’m sure I’ll be purchasing full-sized products at some point, particularly as they’re so easy to source (see below). The shower gel is very thick, clear and colourless, but creates beautifully dense foam, with a sunny, heady scent that lasts all day. 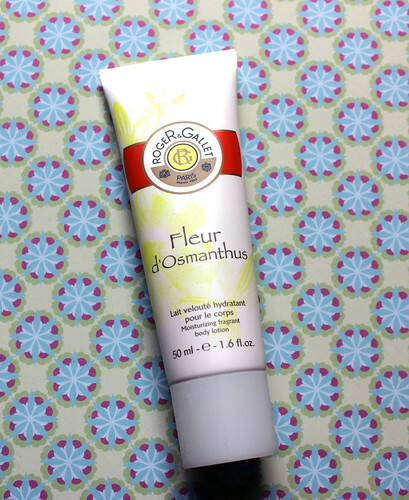 This is the kind of shower gel that works really well no matter what the season – the floral fragrance lifts you in the winter months, but still contains enough of summer to mean you can use it even on bright, sunny days, too, without feeling like the scent is too stuffy or cloying. The same scent features in the body lotion, which is a great thickness in my opinion – slightly runny, and easily absorbed into the skin. 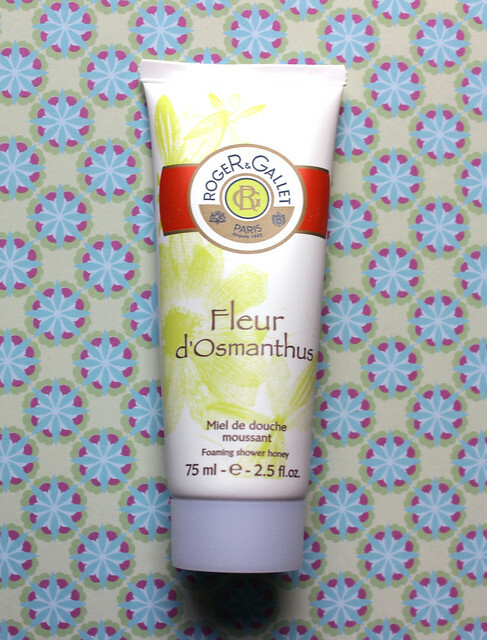 And you can further layer it with the eau fraiche, as all of these products are from the Fleur D’Osmanthus range. This really is one of the nicest fragrances I’ve had in a GlossyBox since I started, so I was thrilled to be able to layer it with all these samples! 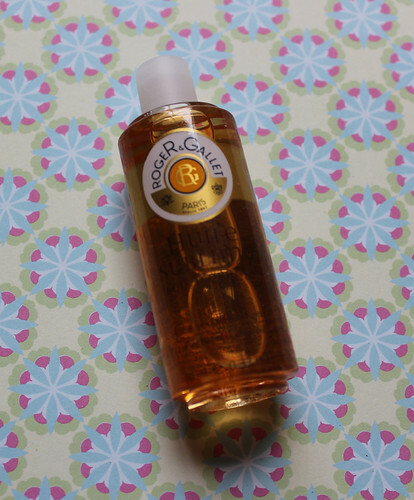 Then there’s the Bois d’Orange huile sublime dry oil – I’ve not tried this yet, as my skin and hair are quite oily to start with, and adding oil on top seems like a recipe for disaster to me! I will give it a go when I feel brave enough, though – you’re supposed to apply to dry hair and skin. 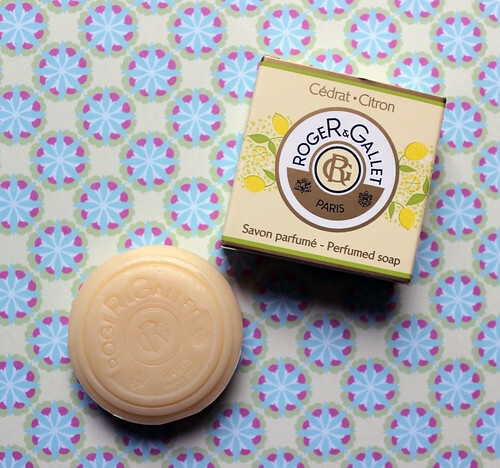 Finally, the citron scented soap – not much to say about this one yet, except I love the embossing on the top! Okay, that’ll disappear after the first few uses, but it’d be lovely to break out a full-sized bar of this for the bathroom when you have visitors around! 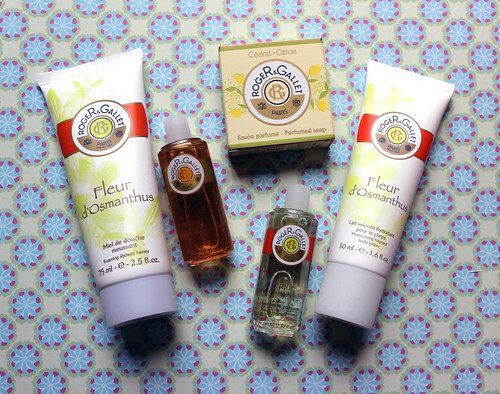 View the Roger & Gallet flash box Flickr set here. 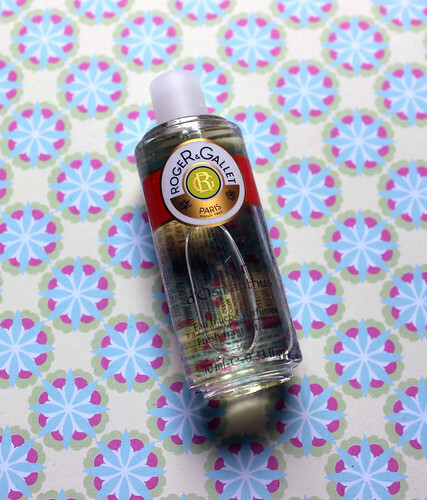 You can buy Roger & Gallet products from Marks and Spencer here (make sure you check out the fragrance, which is reduced in the sale!). 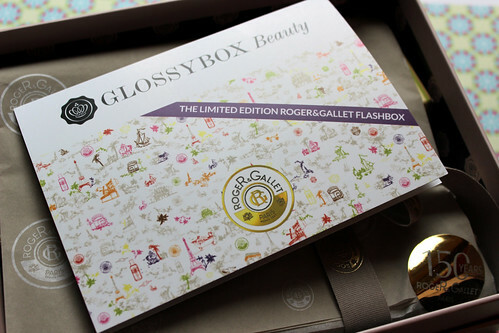 Finally, visit GlossyBox online to subscribe or purchase the flash box here! Little Red Riding Hood in Trafalgar Square: The Collectif Gretel Coat Unleashed!